In March 2004 the 1st international short film festival for films by artists was held in Gstaad, Switzerland, with the ultimate prize being 'The Golden Cow of Gstaad'. For the organisers of Gstaad Film, the event was a great success: Many artists made use of the possibility to present their works at the festival & the quality of the program was high, attracting many films from Switzerland and entries from as far away as Iran, Argentina and Uruguay. The three days of the festival gave many possibilities for interesting contacts, not only for we the organisers, but also for a numerous and interested audience who were left excited, enthralled and enriched by the experience. The positive reaction generated over the three-day period encouraged us to start organising a second festival. To improve the organisation and to give the participants/entrants more time, we decided to organise the festival in a two-year cycle, as a biennale. So the next Gstaad film festival will take place in 2017*. Information on how to submit proposals & films will can be found under entry conditions. 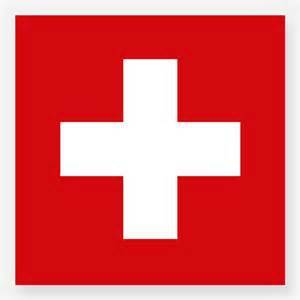 Is a loose compound of the Filmpodium Saanenland and Wandelbar Art International, Bern/Gstaad. The ‘Filmpodium’ has been in existence for many years and was founded to give an opportunity to screen low budget and less well known movies. Its tenth anniversary was in fact the reason for the first Gstaad Film Festival. Wandelbar Art International is an organisation for contemporary art, in existence now for nearly sixteen years. Next to traditional solo and group shows of fine art, performance and installation, wandelbar has also concentrated for the last few years on presenting documented art-films. The experience of organising and screening films at the ‘Filmpodium’ and intense networking on the part of Wandelbar Art International, have been the base for the founding of Gstaad Film. Gstaad is home to many stars and well known individuals of the film and showbusiness industry. It is a place where a premiere of a major film screened in the presence of international personalities, can create opportunities for those involved in Gstaad Film. Filmpodium working together with Galerie Wandelbar led to the logical idea of organising a festival and competition for films made by artists. The first Gstaad Film Festival gave an opportunitiy to artists to expose their works, as well as to address a public interested in cinema and art. The films are normally divided into two blocks. One block will be shown in one venue, the second one in an adjacent cinema, gallery or arts centre (space depending). Each block will be shown twice on Friday and Saturday night. This way the audience can choose if they want to view all of the films in one night (by changing venue the same night), or over two nights (by visiting one venue on Friday and the second one on Saturday). Sunday‘s matinee will show once again the winning films. The official award night is normally Saturday.